For as long as I can remember I always had a fascination with space. I have always loved science fiction and the stars and the constellations and planets. All of it. When I was a little kid I remember that my parents bought me all sorts of books, but there are two that stick out in my mind. One was a book all about our solar system, but I can't remember the name. I do recall that it had these fold out pages that would expand to talk about each of the planets and moons. I remember those pages got sort of trashed as I folded them back into the book improperly. The other book that sticks in my mind is a book about the constellations called "The Glow in the Dark Night Sky Book". 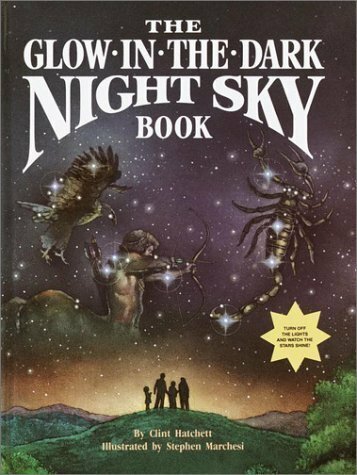 I remember it distinctly because all of the stars and constellations in the book would glow in the dark. It was such a cool book. We also had a telescope that my dad had. We rarely ever used it, but I remember it would sit in the corner of the dining room. It had a small dent in the side of it. I do remember using it one summer night though and we looked at the moon and I thought it was one of the coolest things I ever saw. I remember having to track the movement of the moon with the small parts on the telescope. It really gave you a sense of how fast and how much the moon actually moves. So where is all of those going? Well, over at Reddit I have seen several posts of some amazing backyard astronomy shots from this post. I really has be chomping at the bit to look into getting a telescope for some backyard viewing and hopefully some photos as well.